Inky Dream: Thank You Gift Bag. Wow, I worked like lightening last night to get this done on time! 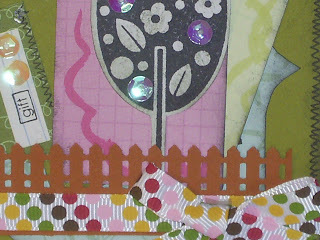 Crafts 4 Eternity has a sketch, also use sequins, and make anything but a card. Sweet, sweet, sweet, so much to look at and love that stitching. Thanks for sharing at C4E this week. Lovely bag. 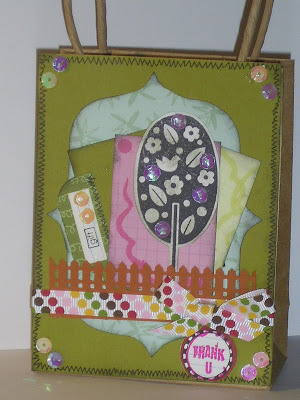 especially love the "lollipop" tree! Lovely bag, great details. Thanks for joining in at Polkadoodles. Fabulous! Thanks for joining us at Polka Doodles. This is just gorgeous Farrah. Thanks so much for joining in with Polka Doodles Sew and Sew challenge.